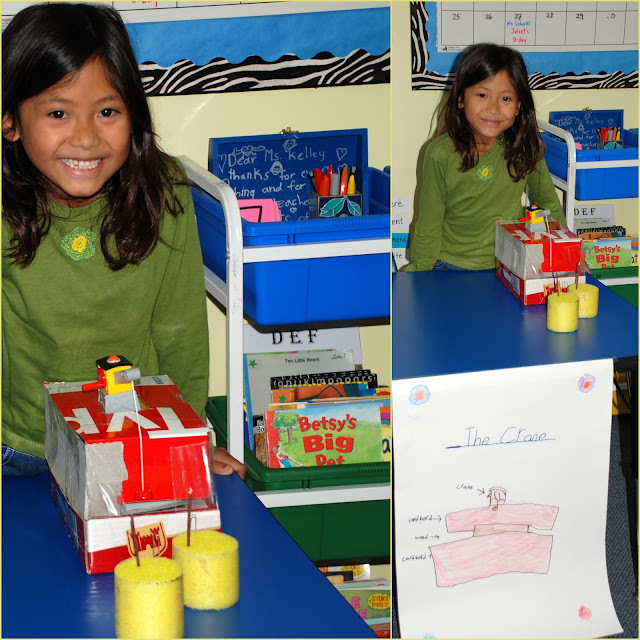 About 2-3 weeks ago the girls had a project at school, to make a 'little machine' and write/draw about it and then give a speech and explanation how the machine works, to the other students of the elementary classes and of course to all the parents who would come and visit. Eventually they made a good presentation about their 'CRANE', they had to include some technical words they had learned and on the poster in front of their table they made a technical drawing how everything works together and that this machine makes life easier, is good for the environment etc... etc..
Jasmine with the same project, I am not that technical enough to create 2 different ones.... especially in 1 day!! I was impressed to see all the different machines the kids (and their parents) made! 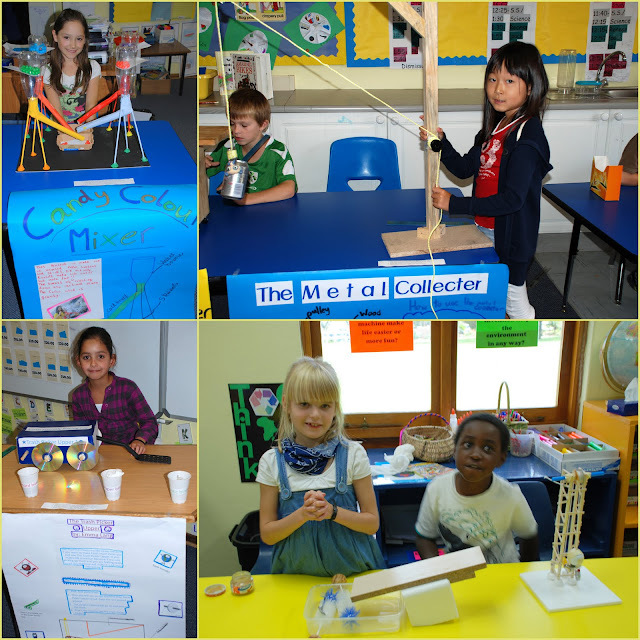 Although this project needed some help from the parents the children still learned a lot about how machines work, and in the end that is the goal of this whole project! Learning while having fun creating!! Great job to the teachers for making learning so fun, well done!! Good job! Gee I hope Jeff is home when we get those kind of projects or Ruby's in trouble! LOL!